Tema: Stoicism and the Logos. Zeno of Cittium founded the Stoic School in 322B.C. The name came from the lecture hall: the Stoa poikile (the outdoor porch). 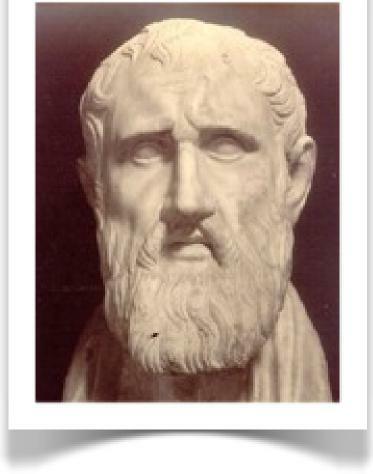 Zeno took much from both Plato and Aristotle; turned their metaphysical speculations into religious dogma/presuppositions. Stoicism, therefore, did not serve as mere speculation for these Hellenistic Greeks; it revealed the path to a virtuous life. 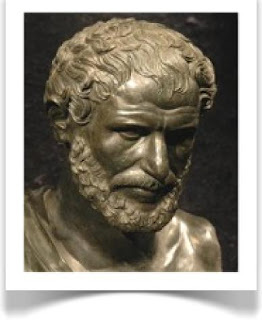 While Zeno possessed great skill, most scholars consider him a second-rate thinker compared to Plato or Aristotle. His student and successor, Cleanthes of Chrysippus, wrote down much of what Zeno had taught; he developed this thought further in 705 “books”, all believed to be well argued, according to Father Copleston, but poorly written. • At the heart of all things was the universal principle, the “artistic fire” or Word known as LOGOS, which was closely tied to fate. It existed at the beginning of the universe, and it would bring all things back together in the end, perfecting all through the LOGOS (see below for various understandings of LOGOS). Heraclitus, a noble from Ephesus (ca. 500 B.C. ), was the first to identify the Word; “that universal principle which animates and rules the world” as the Urstoff. He claims the Word as Reason, a Reason that rules the universe. Still, for Heraclitus, man remained trapped within the cycles of the earth (spring, summer, fall, winter; birth, middle age, death). Later, Galen, described the Logos in the following terms: He“did not make the world as an artisan does his work, but it is by wholly penetrating all matter that He is the demiurge of the universe” [Galen, “de qual. Incorp.”]. Plutarch wrote that the Logos was a “go-between” between God and man. Jews used the term Memra for Logos. Most likely entered Jewish thought with the movement of Alexander the Great. Most obvious in the Jewish “Book of Wisdom” (chapters 1, 6-8, 18). Find this Greek and Jewish (which is probably Greek too; Stoicism and Judaism seems to have common understandings of the Word by 100BC, if not long before, as Paul Rahe so convincingly argued last week) concept in blatant form—only in St. John’s writings: in his Gospel, his first letter, and in Revelations. • Colossians 1:15 “He is the image of the invisible God, the first born over all creation.” This presents a stoic philosophy of history. Many early Christians and middle Stoics assumed that St. Paul and Seneca corresponded with each other. An apocryphal document even claimed to be a publication of their correspondence. 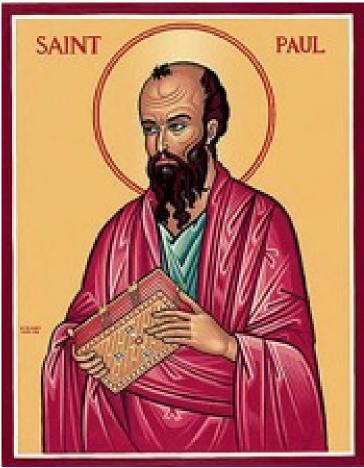 Influences (to list only a few): Cicero, St. John, St. Paul, the author of Hebrews, St. Augustine, Marcus Aurelius, Boethius, John of Salisbury, Philip Melanchthon, John Calvin, Erasmus, Thomas More, Edmund Burke, Robert E. Lee. In the twentieth century: Paul Elmer More, T.S. Eliot, Russell Kirk, Henry Hazlitt, James Stockdale, and Tom Wolfe. because he is found by those who do not put him to the test, and manifests himself to those who do not distrust him. because wisdom will not enter a deceitful soul, nor dwell in a body enslaved to sin. For a holy and disciplined spirit will flee from deceit, and will rise and depart from foolish thoughts, and will be ashamed at the approach of unrighteousness. For wisdom is a kindly spirit and will not free a blasphemer from the guilt of his words; because God is witness of his inmost feelings, and a true observer of his heart, and a hearer of his tongue. therefore no one who utters unrighteous things will escape notice, and justice, when it punishes, will not pass him by. because a jealous ear hears all things, and the sound of murmurings does not go unheard. Beware then of useless murmuring, and keep your tongue from slander; because no secret word is without result, and a lying mouth destroys the soul. because God did not make death, and he does not delight in the death of the living. For he created all things that they might exist, and the generative forces of the world are wholesome, and there is no destructive poison in them; and the dominion of Hades is not on earth. But ungodly men by their words and deeds summoned death; considering him a friend, they pined away, and they made a covenant with him, because they are fit to belong to his party. he will come upon you terribly and swiftly, because severe judgment falls on those in high places. For the lowliest man may be pardoned in mercy, but mighty men will be mightily tested. For the Lord of all will not stand in awe of any one, nor show deference to greatness; because he himself made both small and great, and he takes thought for all alike. To you then, O monarchs, my words are directed, that you may learn wisdom and not transgress. For they will be made holy who observe holy things in holiness, and those who have been taught them will find a defense. Therefore set your desire on my words; long for them, and you will be instructed. Wisdom is radiant and unfading, and she is easily discerned by those who love her, and is found by those who seek her. He who rises early to seek her will have no difficulty, for he will find her sitting at his gates. because she goes about seeking those worthy of her, and she graciously appears to them in their paths, and meets them in every thought. Therefore if you delight in thrones and scepters, O monarchs over the peoples, honor wisdom, that you may reign for ever. neither will I travel in the company of sickly envy, for envy does not associate with wisdom. A multitude of wise men is the salvation of the world, and a sensible king is the stability of his people. Therefore be instructed by my words, and you will profit. within the period of ten months, compacted with blood, from the seed of a man and the pleasure of marriage. And when I was born, I began to breathe the common air, and fell upon the kindred earth, and my first sound was a cry, like that of all. there is for all mankind one entrance into life, and a common departure. Therefore I prayed, and understanding was given me; I called upon God, and the spirit of wisdom came to me. I preferred her to scepters and thrones, and I accounted wealth as nothing in comparison with her. Neither did I liken to her any priceless gem, because all gold is but a little sand in her sight, and silver will be accounted as clay before her. I loved her more than health and beauty, and I chose to have her rather than light, because her radiance never ceases. All good things came to me along with her, and in her hands uncounted wealth. I rejoiced in them all, because wisdom leads them; but I did not know that she was their mother. for it is an unfailing treasure for men; those who get it obtain friendship with God, commended for the gifts that come from instruction. May God grant that I speak with judgment and have thought worthy of what I have received, for he is the guide even of wisdom and the corrector of the wise. For both we and our words are in his hand, as are all understanding and skill in crafts. beneficent, humane, steadfast, sure, free from anxiety, all-powerful, overseeing all, and penetrating through all spirits that are intelligent and pure and most subtle. For wisdom is more mobile than any motion; because of her pureness she pervades and penetrates all things. For she is a breath of the power of God, and a pure emanation of the glory of the Almighty; therefore nothing defiled gains entrance into her. For she is a reflection of eternal light, a spotless mirror of the working of God, and an image of his goodness. for it is succeeded by the night, but against wisdom evil does not prevail. She reaches mightily from one end of the earth to the other, and she orders all things well. I loved her and sought her from my youth, and I desired to take her for my bride, and I became enamored of her beauty. She glorifies her noble birth by living with God, and the Lord of all loves her. For she is an initiate in the knowledge of God, and an associate in his works. If riches are a desirable possession in life, what is richer than wisdom who effects all things? And if understanding is effective, who more than she is fashioner of what exists? And if any one loves righteousness, her labors are virtues; for she teaches self-control and prudence, justice and courage; nothing in life is more profitable for men than these. And if any one longs for wide experience, she knows the things of old, and infers the things to come; she understands turns of speech and the solutions of riddles; she has foreknowledge of signs and wonders and of the outcome of seasons and times. Therefore I determined to take her to live with me, knowing that she would give me good counsel and encouragement in cares and grief. Because of her I shall have glory among the multitudes and honor in the presence of the elders, though I am young. I shall be found keen in judgment, and in the sight of rulers I shall be admired. When I am silent they will wait for me, and when I speak they will give heed; and when I speak at greater length they will put their hands on their mouths. Because of her I shall have immortality, and leave an everlasting remembrance to those who come after me. dread monarchs will be afraid of me when they hear of me; among the people I shall show myself capable, and courageous in war. When I enter my house, I shall find rest with her, for companionship with her has no bitterness, and life with her has no pain, but gladness and joy. and in friendship with her, pure delight, and in the labors of her hands, unfailing wealth, and in the experience of her company, understanding, and renown in sharing her words, I went about seeking how to get her for myself. or rather, being good, I entered an undefiled body. and were thankful that thy holy ones, though previously wronged, were doing them no injury; and they begged their pardon for having been at variance with them. Therefore thou didst provide a flaming pillar of fire as a guide for thy people's unknown journey, and a harmless sun for their glorious wandering. For their enemies deserved to be deprived of light and imprisoned in darkness, those who had kept thy sons imprisoned, through whom the imperishable light of the law was to be given to the world. 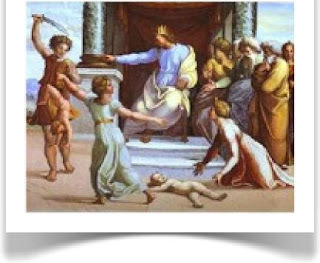 When they had resolved to kill the babes of thy holy ones, and one child had been exposed and rescued, thou didst in punishment take away a multitude of their children; and thou didst destroy them all together by a mighty flood. That night was made known beforehand to our fathers, so that they might rejoice in sure knowledge of the oaths in which they trusted. The deliverance of the righteous and the destruction of their enemies were expected by thy people. For by the same means by which thou didst punish our enemies thou didst call us to thyself and glorify us. For in secret the holy children of good men offered sacrifices, and with one accord agreed to the divine law, that the saints would share alike the same things, both blessings and dangers; and already they were singing the praises of the fathers. But the discordant cry of their enemies echoed back, and their piteous lament for their children was spread abroad. and they all together, by the one form of death, had corpses too many to count. For the living were not sufficient even to bury them, since in one instant their most valued children had been destroyed. For though they had disbelieved everything because of their magic arts, yet, when their first-born were destroyed, they acknowledged thy people to be God's son. carrying the sharp sword of thy authentic command, and stood and filled all things with death, and touched heaven while standing on the earth. for the dreams which disturbed them forewarned them of this, so that they might not perish without knowing why they suffered. The experience of death touched also the righteous, and a plague came upon the multitude in the desert, but the wrath did not long continue. For a blameless man was quick to act as their champion; he brought forward the shield of his ministry, prayer and propitiation by incense; he withstood the anger and put an end to the disaster, showing that he was thy servant. He conquered the wrath not by strength of body, and not by force of arms, but by his word he subdued the punisher, appealing to the oaths and covenants given to our fathers. For when the dead had already fallen on one another in heaps, he intervened and held back the wrath, and cut off its way to the living. For upon his long robe the whole world was depicted, and the glories of the fathers were engraved on the four rows of stones, and thy majesty on the diadem upon his head. To these the destroyer yielded, these he feared; for merely to test the wrath was enough. On Duties served as Cicero’s most Stoic work. Of the Lawsclosely followed, though. “A human being, [sic] was endowed by the supreme god with a grand status at the time of its creation. It alone of all types and varieties of animate creatures has a share in reason and thought, which all the others lack. What is there, not just in humans, but in all heaven and earth, more divine that reason? When it has matured and come to perfection, it is properly named wisdom. 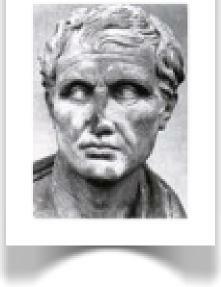 . . reason forms the first bond between human and god,” the Roman Republican Cicero wrote in On the Laws. [Cicero, On the Laws, Book 1]. This latter quote seems deeply connected to the Stoic idea of the megapolis. A mirror of thy deity to be. Move, and submissive each thy rule obeys. Whose own hearts lead them to perversity. Each to his sin, by folly led astray. Finds that too soon his pleasure turns to pain. The sons of men to sorrow and to shame. Upon the path of justice to its goal. Since gods nor men find worthier need than this—The universal Law to praise aright. For in thee we live and move and have our being (Act 17:28). “Bad company corrupts good morals"
From an essay written for the Hillsdale College Department of History September 21, 2010. 1. Frederick Copleston, S.J., The History of Philosophy (Westminster, Mary. : Newman Press, 1963), I: 385. 2. Eric Voegelin, The Ecumenic Age (Baton Rouge: LSU Press, 1974), 40-41. 3. Copleston, A History of Philosophy, I: 43-44. 4. Charles Cochrane, Christianity and Classical Culture (1942; Indianapolis, Ind. : Liberty Fund, 2010), 180. 5. Chrstopher Dawson, Medieval Essays (1954; Washington, D.C.: Catholic University Press of America, 2002), 35. 6. Voegelin, The Ecumenic Age, 39. 7. Russell Kirk to Bill McCann, July 27, 1942, in Box 25, Kirk Papers, Clarke Library, Mount Pleasant, Michigan. 8. Russell Kirk, ed., Marcus Aurelius, Meditations, and Epictetus, Enchiridion (Chicago, Ill.: Regnery, 1955), vii. 9. 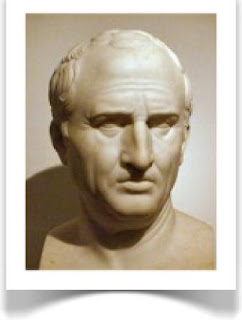 Strauss explicitly rejected the notion that Cicero was a Stoic. See his University of Chicago Walgreen Lectures, published as Leo Strauss, Natural Right and History(1953; University of Chicago Press, 1965), 154-156. In his The City and Man, however, Strauss equates Cicero with the Stoics. See, especiall, The City of Man (1964; University of Chicago Press, 1978), 27-28, fn. 35. 10. Virgil, Eclogue IV, The Eclogues of Virgil, trans. by David Ferry (New York: Farrar, Straus, and Giroux, 1999), 29. 11. St. Augustine, An Augustine Synthesis, ed. Erich Przywara, S.J. (London: Sheed and Ward, 1936), 20-21. "And, as we Catholics know, Western Civilization is Roman Civilization, first classical Roman Civilization, then Roman Catholic Civilization, as the Christians preserved and carried classical Roman Civilization to the world in a Christianized form. That is, after all, why we are described as Roman Catholics."